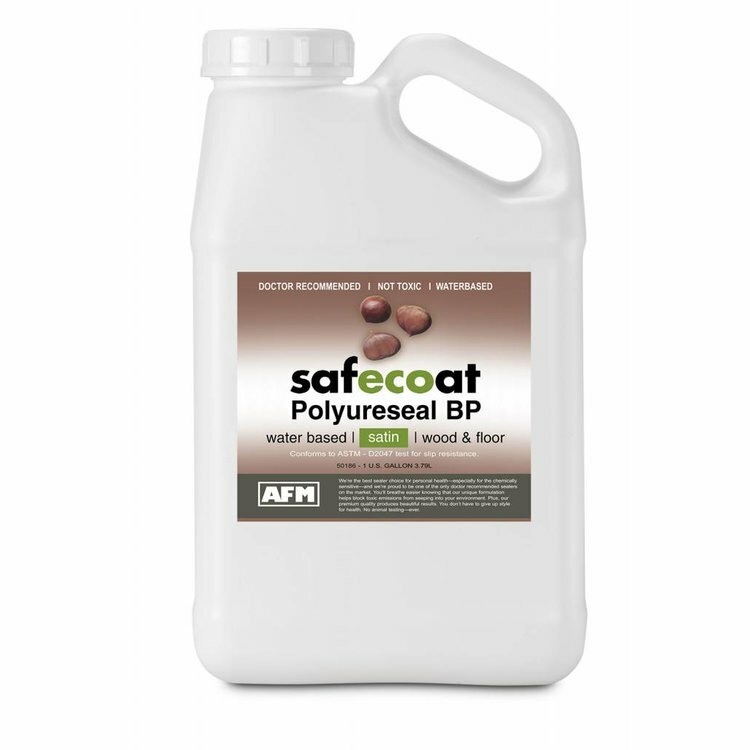 Safecoat Polyureseal BP is one of the highest quality, lowest toxicity water-based clear finishes available today. Its exceptional durability and abrasion resistance, coupled with high solids, very low VOCs and low odor, make it the best alternative to conventional solvent and water-based polyurethanes in performance without the toxicity. 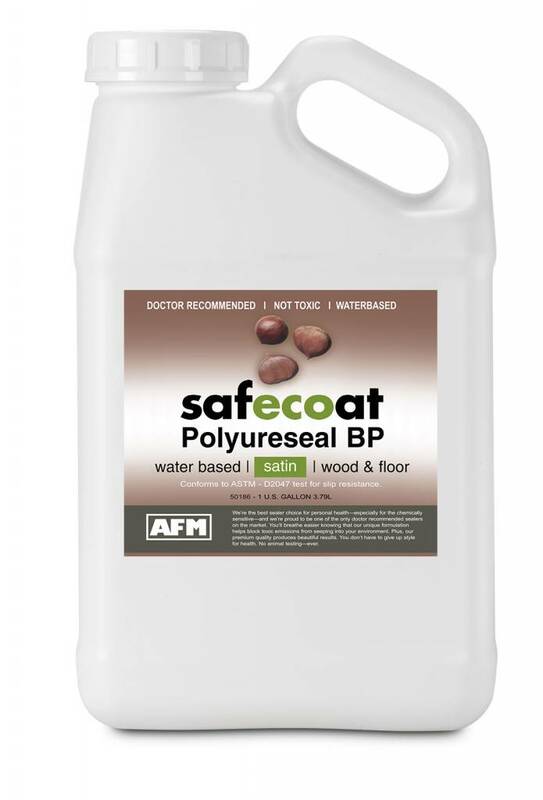 Use Polyureseal BP on unfinished wooden surfaces such as floors, furniture and cabinetry, and it is exceptional for gym floors and auditoriums. APPLICATION: Apply liberally with a quality nylon brush, pad applicator or spray applicator, keeping a good wet edge; avoid overbrushing. In most projects a minimum of three coats is required; sand with aluminum oxide or silicon carbide sandpaper between coats. Apply two coats of Gloss before applying a final finish coat of Matte. DRYING/CURING TIME: Dry to the touch in one hour; can be sanded after 2-4 hours and recoated after 4-8 hours. Continues to cure and harden over time. COVERAGE: 350-500 sq ft per gallon, in one coat. LIMITATIONS: Polyureseal BP is made without formaldehyde preservatives. Do not contaminate. Store in airtight containers.